This image is stunning and you have the night sky that is full of stars and different shades of blue that is the background. 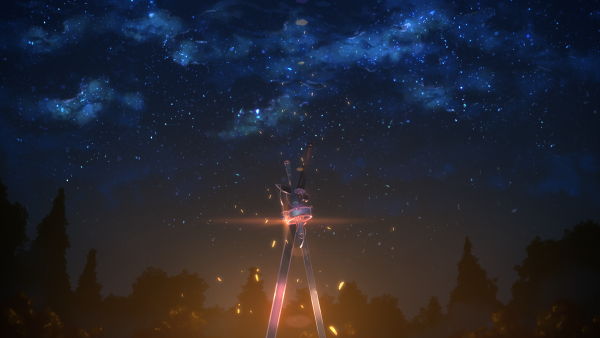 In the foreground you have 2 swords that are crossing with a light shining between them. 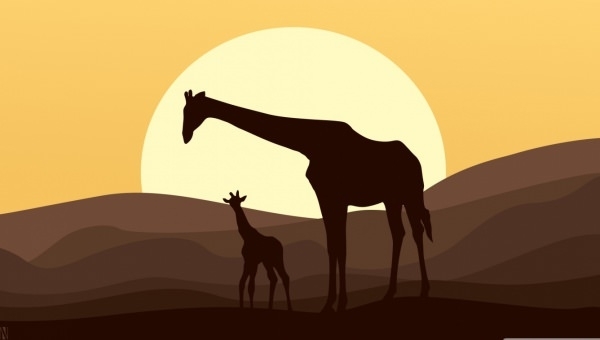 If you want some simple art wallpaper, then this image of a mother giraffe along with her baby is perfect. They are in the foreground and the background is of a sun that surrounds them with the rays. 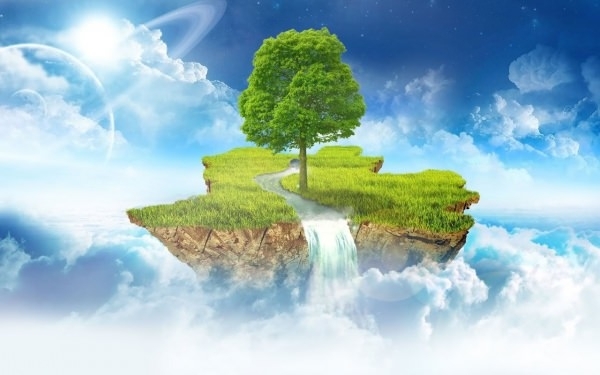 For those who want something a bit different and peaceful, then this is the best image since it is a tree on an island that is floating in the sky. There is also a waterfall that is falling off the island. 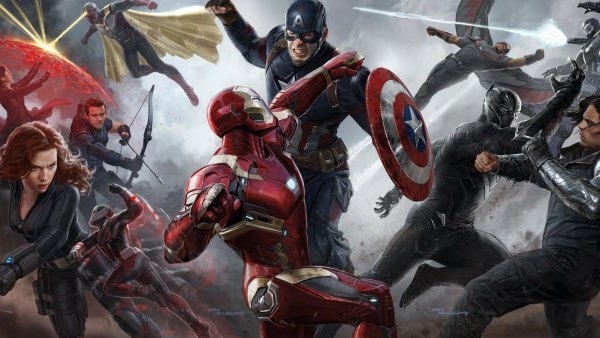 Superheroes love this image and it is of Captain America along with the other superheroes, including Iron Man, Captain America and many more. This will bring out the child in anyone. This is the perfect art wallpaper for those who love Halloween and it depicts the night that all the ghosts and ghouls come out. 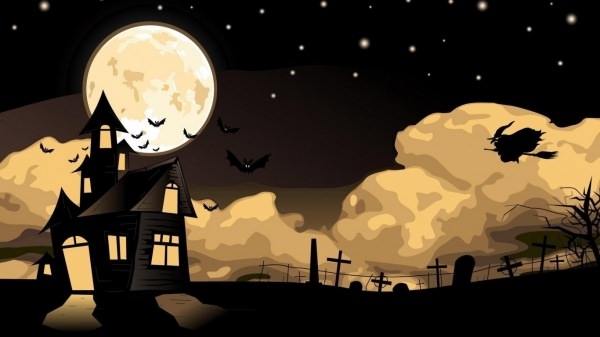 There is a house that is depicted along with a graveyard, a witch, and bats. 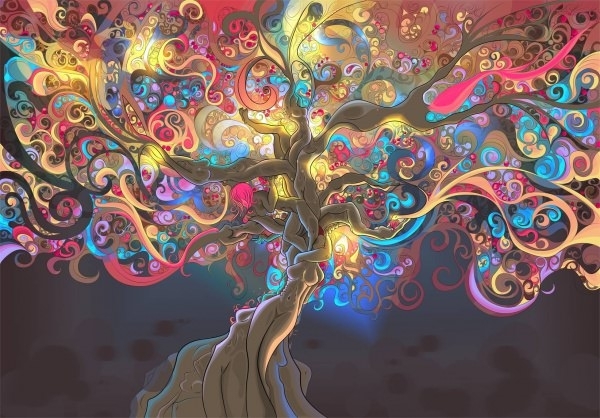 Retro lovers will fall for this image and it depicts a tree with the various branches intertwining with the others. The leaves are made with bright colors and swirls of different designs. 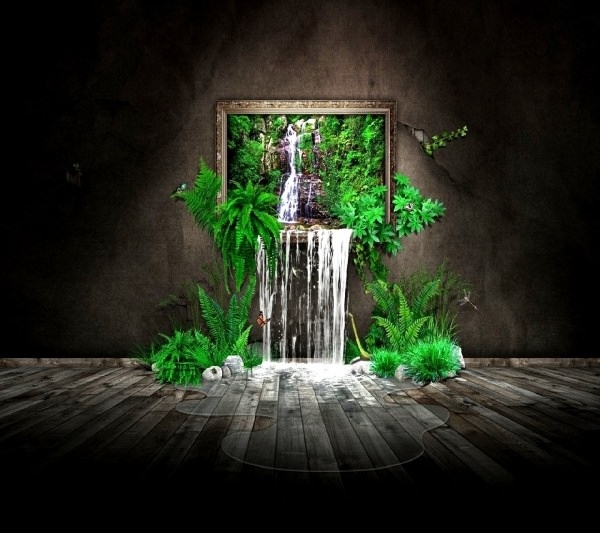 This is a unique image that portrays a picture frame that has an image of a waterfall, which is spilling into the room. 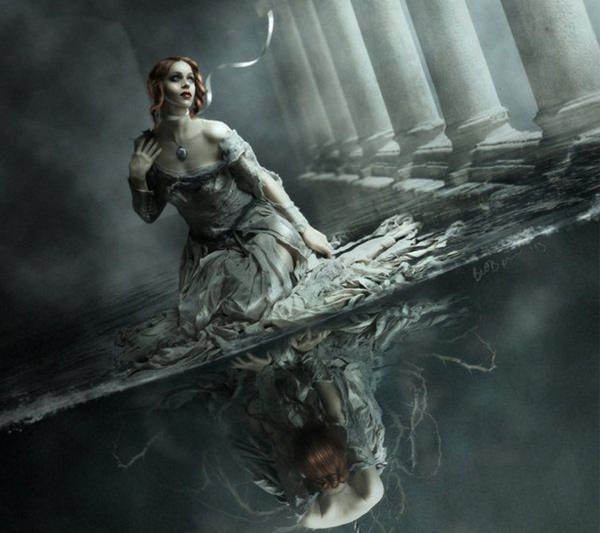 There is a puddle of water surrounded by ferns and other green plants in the room. 9. Digital Art Spooky Forest Wallpaper This image is black and blue and it depicts a man standing in the middle of a spooky forest. There is a path in the middle where the trees are bending over the man as he walks. 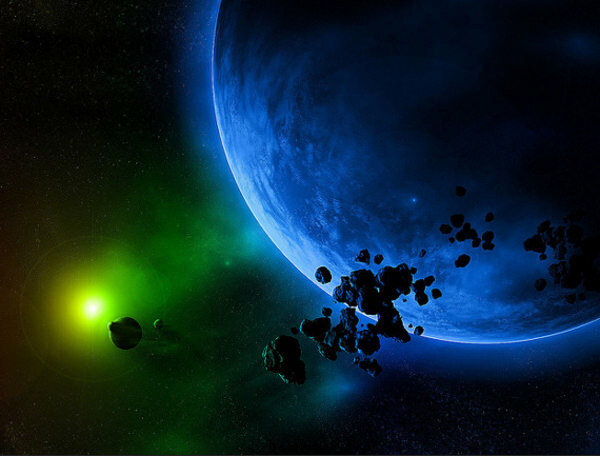 This is ideal for those who love space and it shows Earth with some nebulas circulating. 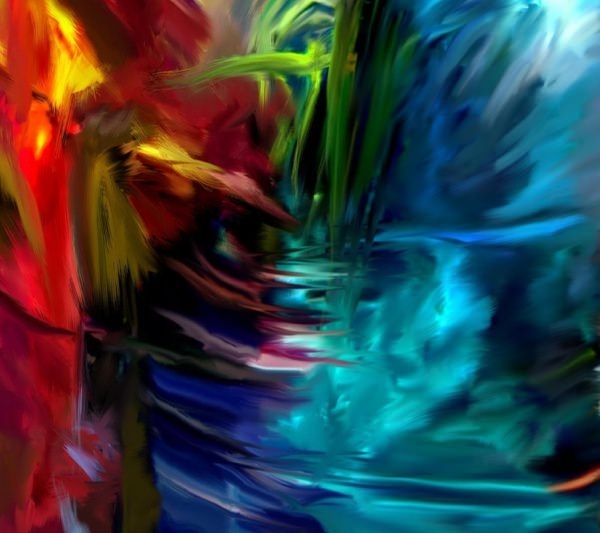 It is vibrant in colors, including blue, black, yellow, and green. 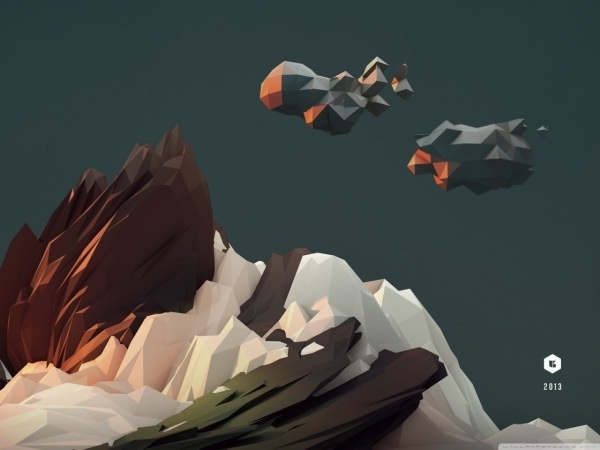 A simple image is sometimes the best way to go when it comes to art wallpaper and this one is perfect. 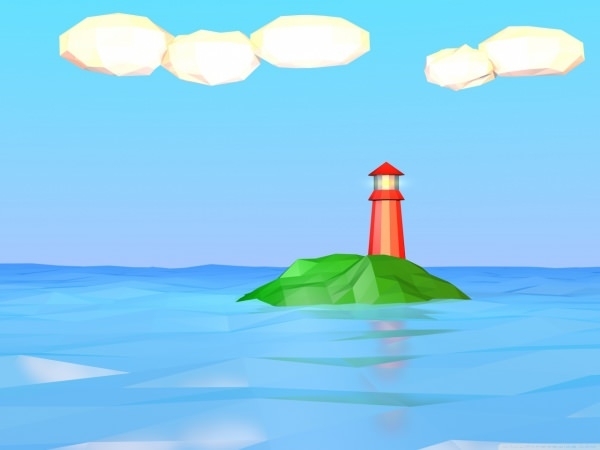 It shows an island in the middle of the ocean with a red lighthouse there and clouds in the background. 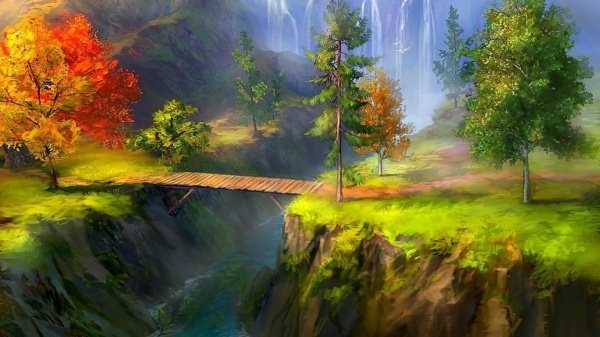 For the fantasy lover, then this landscape is ideal and it shows a forest that is stunning and green. 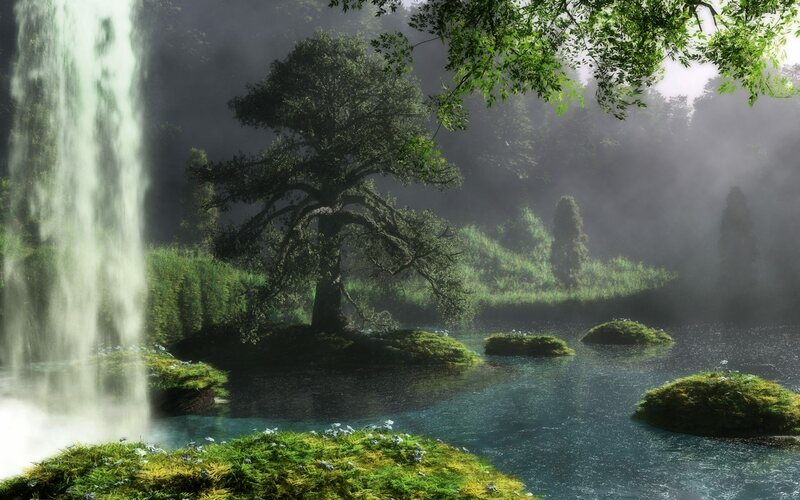 There is a waterfall and plenty of trees and other plants to give a bit of an elegant, classy look. This Anime wallpaper overlays a few different images, including the background, which is that of a library. 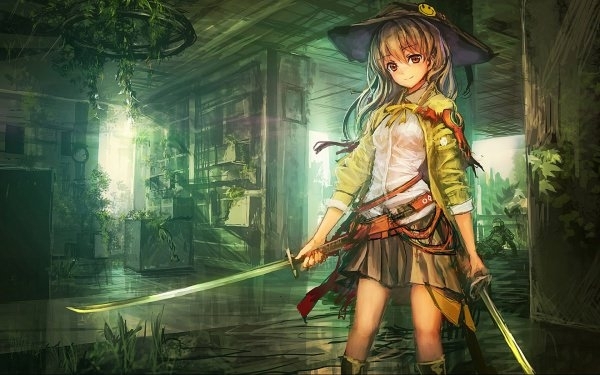 The character is standing in the foreground with swords and surrounded by plants. 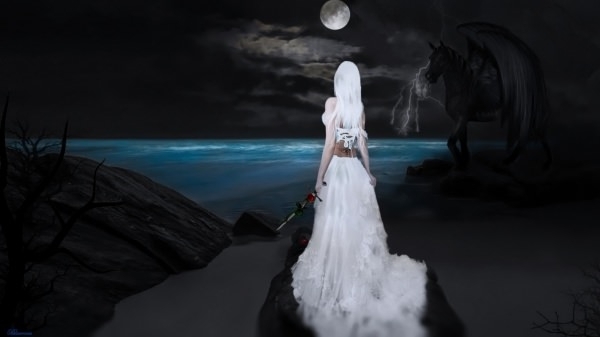 Simple, elegant and classy is what this option is and it is a woman dressed all in white standing on a cliff. There is also a black Pegasus and a gorgeous ocean. If you are looking for some art wallpaper that will make you smile, then this is perfect. 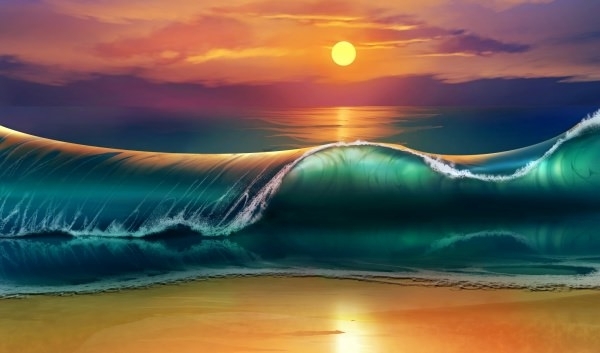 Not only that, but it can brighten up a day and there is a wave that is cresting the beach with the sunset behind it.